2002 Cos d'Estournel - nice and easy to drink. Fragrant, woody nose, smoky, and almost a little chocolate. Still a little tannic. 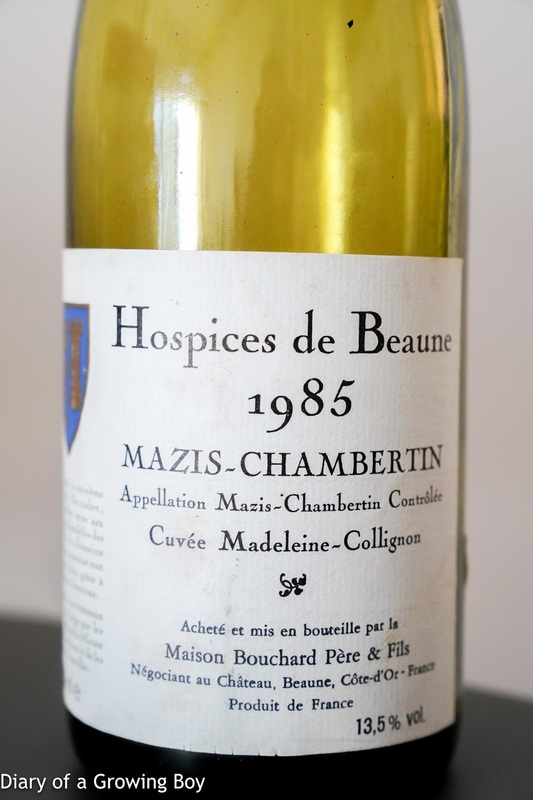 1985 Hospices de Beaune Mazis-Chambertin Cuvée Madeleine-Collignon par Bouchard - very ripe nose with stewed prunes, leather, smoky, a hint of chalk. Opened up nicely an hour in the decanter.